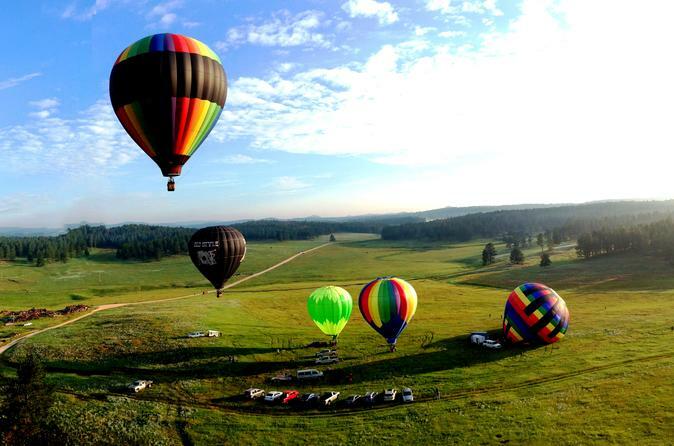 Enjoy a spectacular hot air balloon ride over the beautiful and historic Black Hills of South Dakota with a complimentary Champagne toast! You'll experience a 1-hour flight at sunrise in one of the most scenic places in the world. A souvenir flight certificate and postcard is also included in this tour. Allow about three hours for the experience, from start to finish.